NLPCC 2018 recommends the following hotels. You can also reserve other hotels by yourself. You will pay for all of your hotel cost yourself. How to Reserve the Recommended Hotels? ◆	Reservation time: From now to August 15, 2018, as soon as possible. Your reservation will not be accepted afer this day. ◆	Fill your reserving information according to THIS TABLE, email it to Weihua WANG（王炜华）, and CC to NLPCC(nlpcc@pku.edu.cn). In the reservation table, we suggest you choose your preferred room type: Standard Room(2 Beds) or Stand Room(1 Big Bed). We will do our best to satisfy your need if the hotel has enough rooms. If hotels have no enough proper rooms, we have to accept rooms they have. These hotels are near the venue for Tutorials / CCF ADL 92. XIN CHEN HOTEL(新城宾馆) is the venue of NLPCC 2018 Main Conference. 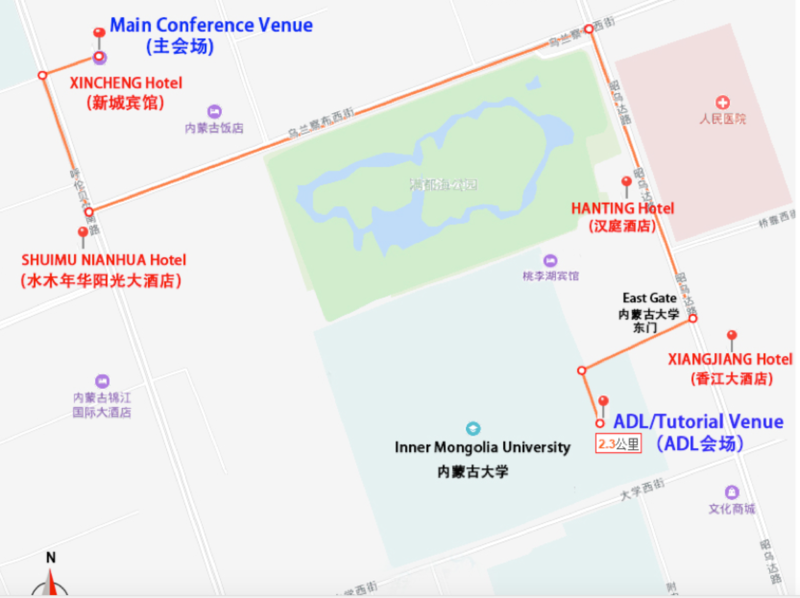 SHUIMU NIANHUA HOTEL (水木年华阳光大酒店) is near the venue for NLPCC 2018 Main Conference.